Combine a new well design with a sophisticated color coding system for ease of reading and orientation. 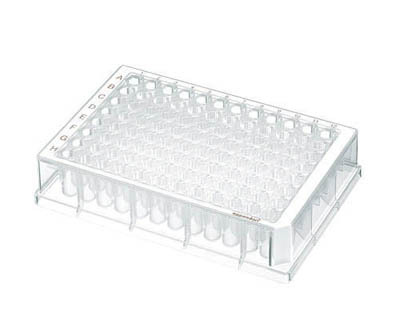 The well geometry of Eppendorf™ 500μL Polypropylene 96-Well Deep Well PCR Plates allows high speed pipetting without splashing, excellent mixing and high speed centrifugation, which accelerates your manual and automated work processes. Fulfill all current SBS, IVD, EN ISO 9001/2/3 and EN 13485 guidelines.